Sorghum, a grain, forage or sugar crop, is among the most efficient crops in conversion of solar energy and use of water. 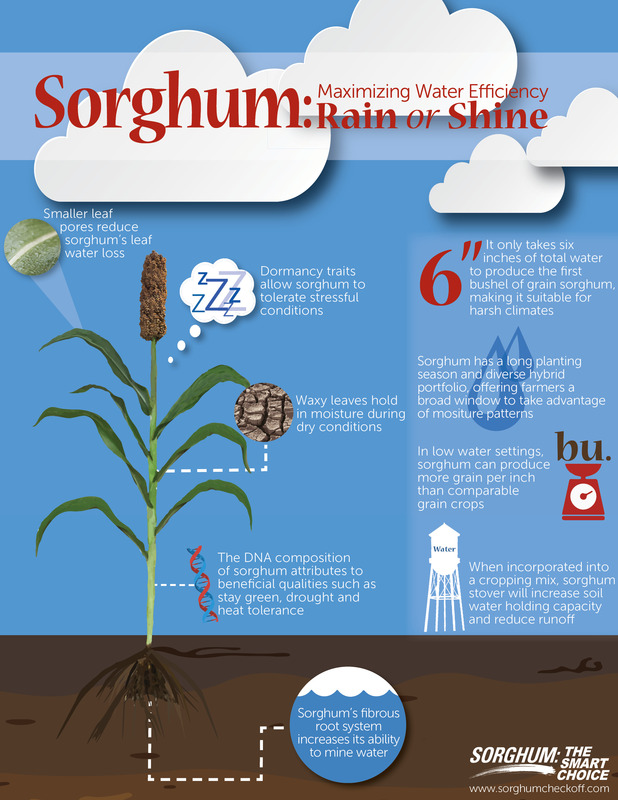 Sorghum is known as a high-energy, drought tolerant crop. Because of its wide uses and adaption, “sorghum is one of the really indispensable crops” required for the survival of humankind (From Jack Harlan, 1971). In the United States, South America, and Australia sorghum grain is used primarily for livestock feed and in a growing number of ethanol plants. Sorghum produces the same amount of ethanol per bushel as comparable feedstock, and uses one third less water. In the livestock market, sorghum is used in the poultry, beef, and pork industries. Stems and foliage are used for green chop, hay, silage, and pasture. 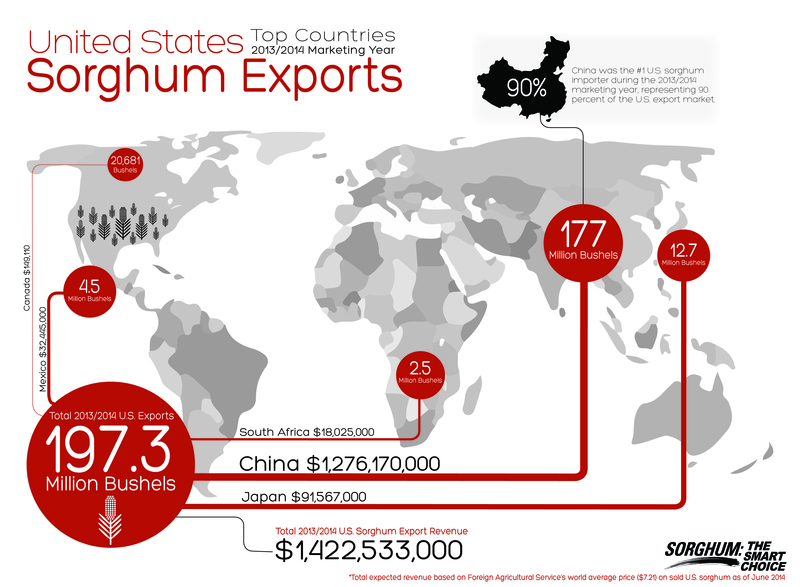 The majority of U.S. sorghum is exported to international markets where it is used for animal feed and ethanol. Declining sorghum acres and production over the past years have led to decreased private investment in sorghum. These declines brought about a “technology gap” between sorghum and other crops. The United Sorghum Checkoff Program is working to overcome this gap with a national checkoff for sorghum. The Sorghum Checkoff is working to improve the profitability of the sorghum industry through research, promotion and information.